“The Kruger,” as South Africans know it, is one of the most world-renowned national parks to spot wildlife. It is the quintessential park to have a wildlife safari in South Africa. The park is roughly the size of Israel and visitors are almost guaranteed to spot the “Big Five” in one day. However, given the popularity of the Kruger finding the sweet spot can be difficult without totally going broke. It’s pretty hard to begin planning for your first safari without coming across Kruger National Park. It is the largest South African National Park and has one of the highest densities of wildlife of all the national parks. 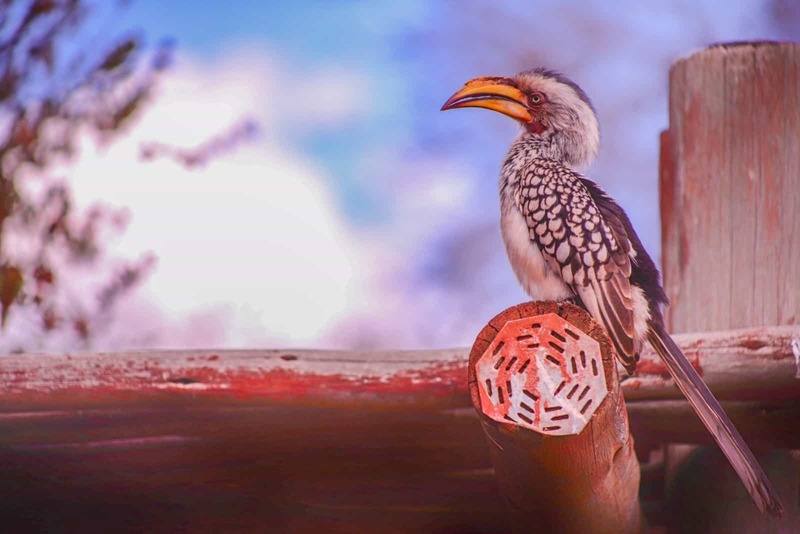 Kruger is home to approximately 517 birds, 147 mammals, and 118 reptiles. Visitors to the park are offered a wide range of services. The park offers guided drives, bush walks, backpacking trails, and golf. It’s also the only park we’ve visited in Africa where the rest stops are stocked with cappuccinos, tasty snacks, and even souvenirs. If you’re looking for a park that has all the creature comforts of the west than Kruger National Park is the one for you. The park itself is the size of Wales or Israel, so it could be its own lion ruling country. 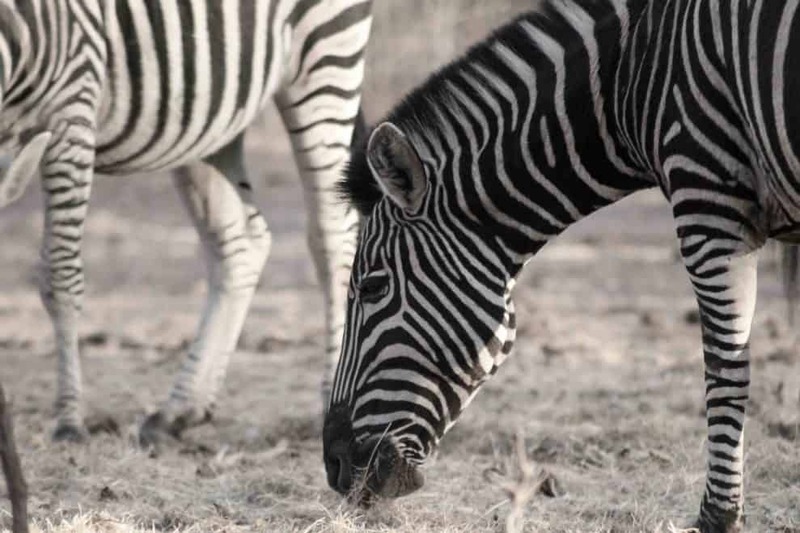 With a park that size, we’ve made our guide to Kruger to help any visitor out. To start there are a few questions you need to ask yourself about your Kruger Park safari. Such as, do you drive yourself or hire a guide? This is the question a lot of people end up asking themselves. 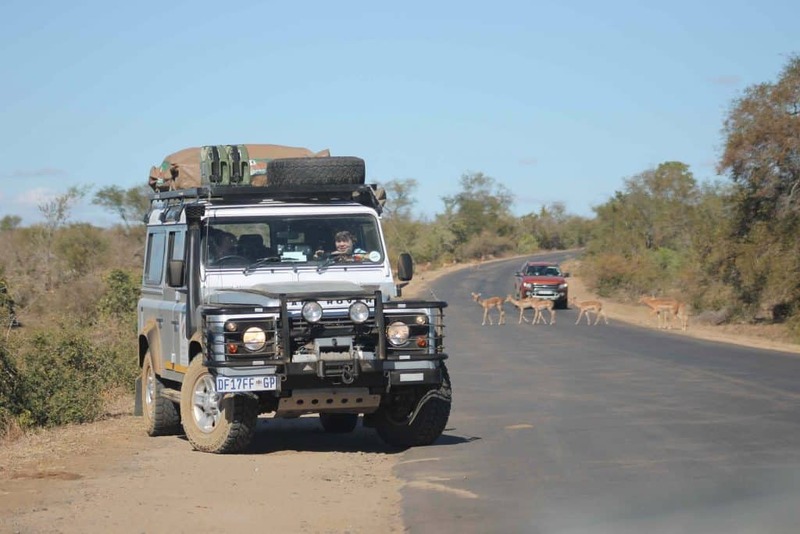 Should you drive yourself through the park or hire a bush guide with a safari truck? Our advice, as well as many others more experienced than ourselves? Do both! To get the best experience we firmly believe in doing both self-drive and a guided tour. You get the best of both worlds. With a self-drive, you are afforded the ability to stay in a climate controlled comfy car, move at your own pace, explore, and have a more relaxing experience. 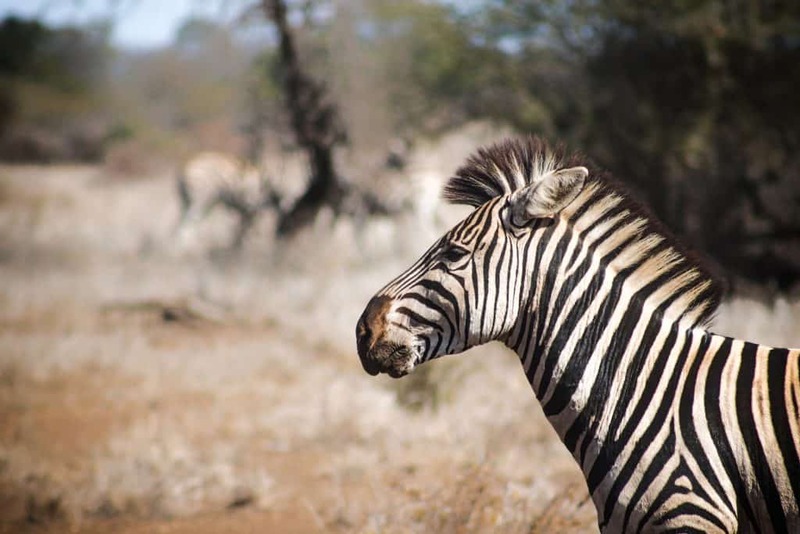 The game drive offers you an expert who is connected to the “bush telegraph” and will find animals that you would miss on your own. Arrive early. There are a number of reasons to be the first at the gate. There are a max number of visitors let into the park each day. You want to see as much as possible. Bring a thermos with coffee or tea to keep warm in the mornings. Drive slowly and keep your eyes peeled on the bush, you will see anything that is on the road. Don’t be afraid to ask passing cars about sightings. It’s an unwritten rule to share information with others about interesting animal sightings. Make sure to pack a lunch or prepare for a braai. The main camps do have food and some of it’s not too shabby. However, the best experience comes from stopping at the more remote picnic spots and having a meal in the bush. If you see several cars stopped it’s almost always a sure sign that there is an interesting sighting. Approach with ease and someone will eventually let you in, and even point out where to look. Bring binoculars and a telephoto lens for optimal viewing and photography. Dress Warm! This is a must. Driving around at the crack of dawn in an open-air vehicle is cold. Tip your guide. South Africa is a tipping country and should do likewise. From our understanding, 10% is always a good ballpark for a tip. Ask questions. Seriously, if you’re paying an expert to drive you around use your resource and ask away. Don’t squander your guide to Kruger. Don’t go too photo happy. It’s something else watching a safari truck pull up with a load of tourists and then the sound of all the cameras that go off. Just tone it down, and enjoy the sights. Grab a warm cup of coffee or tea for the morning. Pack binoculars and a telephoto lens for viewing and photography. Always verify what’s included in booking. We always make sure to know what we get in order to avoid an unpleasant surprise. Is lunch or breakfast included? How about the conservation fee? We are happy to say that Kruger is also wheelchair accessible! No getting out of your vehicle! 50 km is the strict speed limit. You’re there to see wildlife not kill an animal with your car. Do not feed or disturb animals. Stay on time. The gates and rest camps open and close at set times; make sure to adhere to them. Do not lean out a sunroof or window. This should go without saying, but DO NOT LITTER. However, we see it time and time again all around the world. Get more information at SANParks website. “The Little Five” – Buffalo Weaver, Elephant Shrew, Leopard Tortoise, Ant Lion and Rhino Beetle. “Birding Big Six” – Ground Hornbill, Kori Bustard, Lappet-faced Vulture, Martial Eagle, Pel’s Fishing Owl and Saddle-bill Stork. “Five Trees” – Baobab, Fever Tree, Knob Thorn, Marula, Mopane. There are a plethora of accommodation options when it comes to visiting Kruger National Park. However, it can be broken down into two basic ideas. Visitors can stay outside the park or within the park. There isn’t a clear answer here, but the short answer is both. Of course, it all depends on budget, time, and interests when selecting your Kruger park lodge. We chose to stay outside the park so we could explore the Hoedspruit area and we found a great budget safari lodge at Cheetah Paw Eco Lodge. If you have time a great option would be to self-drive through Kruger for a few days before dropping your car off and spending the end of your trip in one of the many private reserves. Why? You’d likely be disappointed in the accommodation if you stayed in the park first, not that the park is anything short of a terrific safari experience, just hard to compete with the comfort and value of private lodges. The accommodation here tends to give you a lot more bang for your buck and even goes all out to super luxurious. If you’re looking for that famous 7-star experience you can find it in a number of private game reserves, such as Sabi Sands. We were in search of that sweet spot ourselves. We wanted all of the creature comforts we could ask for, great hosts, comfortable rooms, good bush environment, and an affordable price. That’s what we found at the Cheetah Paw Eco Lodge. 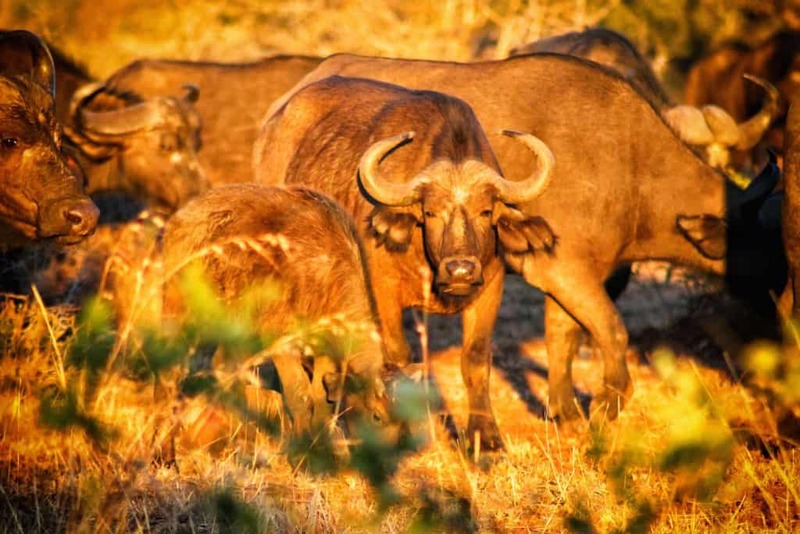 There are a number of private game reserves in the Limpopo region. You can select from Thornybush, Klaserie, Timbavati, Sabi Sands, and smaller ones like Guernsey (that’s where we stayed). Asides from the few high dollar private lodges, Kruger park lodges in the park remain booked accommodation in the park is rather basic. It totally gets the job done, and very few will complain if they know what they’re getting into. You are after all in the park before anyone else and in the park after everyone else. Which is a big deal when the best time for viewing wildlife is in the morning and evening. Staying in the camps is extremely popular, and most camps even sell out as soon as they release the dates up to a year in advance. Some of the most popular camps are the Lower Sabie, Skukuza, Letaba and the Satara. Days worth of driving and activities. It depends on the season, but the right safari clothes are crucial. You can read this post here on what we like to wear on safari. A great packable down jacket is never a bad idea! Here is our Africa packing list. As well as a post that details what to wear on safari! Accommodation in South Africa: We like to use Hotelscombined to compare various booking engines and make sure we are getting the best possible deal. To feel more at home in South Africa we use Airbnb. Here is a coupon for your first stay! Here are the most popular destinations in South Africa: Cape Town, Johannesburg, Knysna, and Stellenbosch. Travel Insurance: We never travel without travel insurance with World Nomads. We ALWAYS travel with a travel insurance policy. Natasha is a bit of a worry wart and would rather stay safe than sorry. World Nomads offers incredible flexible and great plans! 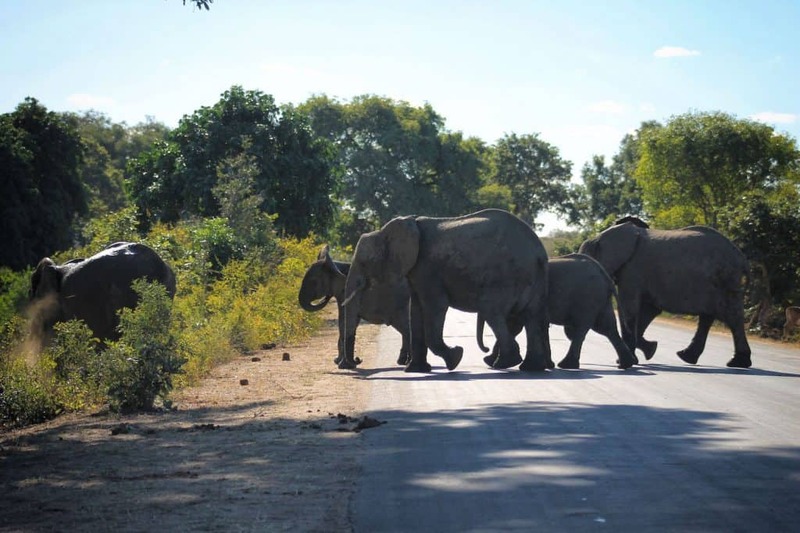 Have you been to Kruger National Park? What was your experience?